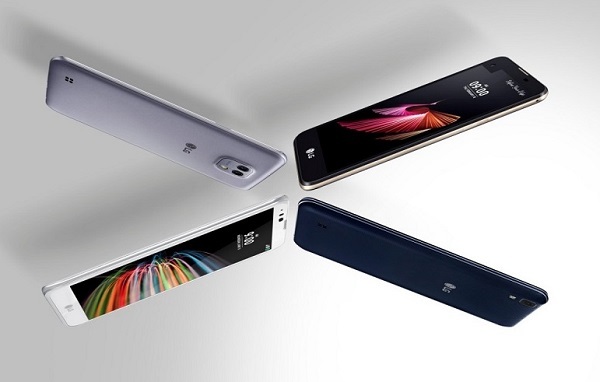 LG announces X mach, X max, X power and X style smartphones. LG Electronics today announced four new X series smartphones that share many of the top end features found on LG's flagship G and V series handsets. X power, X mach, X style and X max join the X cam and X screen to bring additional depth and options to LG’s lineup of mass-tier offerings. These new phones will start rolling out later this month in markets around the world. Each new device in the X series lineup have a unique feature which is matched to a specific user need or interest, such as greater battery capacity, faster processor, more sophisticated styling or a larger display. The X power is aimed at the most power-hungry users who will appreciate the 4,100mAh battery in the 7.9mm slim body. Fast charging (PE+) technology enables the X power to charge at twice the normal speed, allowing users to do more with their phone for longer. The X mach supports LTE Cat. 9 3CA data transfer speed and is powered by a speedy 1.8GHz processor to deliver top performance and speed. The device comes equipped with a QHD IPS Quantum display for crisp, clear images, and a gently curved form factor for a perfect grip. Users will also appreciate the ability to take stunning photos in low light conditions with the large 1.55μm sensor camera. X style differentiates itself with its elegant design boasting gracefully curving lines and extra-slim body. X max sports a large display for an enhanced viewing experience, making it the ideal phone for consuming multimedia content. Prices and exact dates of availability will be announced locally in each market.